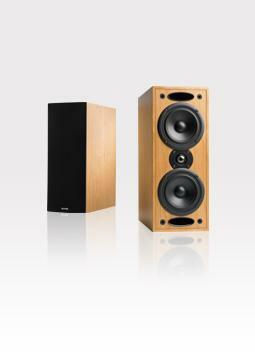 The Acoustix loudspeaker brings a level of room placement flexibility not before seen in this type of Krix design. The dual front ports make this speaker the perfect choice for use in TV cabinets and custom joinery, eliminating 'boomy' bass qualities found when using rear ported speakers in this type of application. The Acoustix can be used as the basis for a high quality stereo system, or add the matching Graphix centre channel to the mix to deliver precise timbral matching to the Acoustix mains / rear channels. An acoustically intricate experience. Krix has managed to produce a small speaker that can provide a seamless sonic picture and that excels at reproducing detail and resolution of complex and dense music mixes. The Acoustix?s tonal balance is dead neutral and this combination of drivers presents a very detailed sonic picture with delicate low level information and clear and natural sounding instruments.